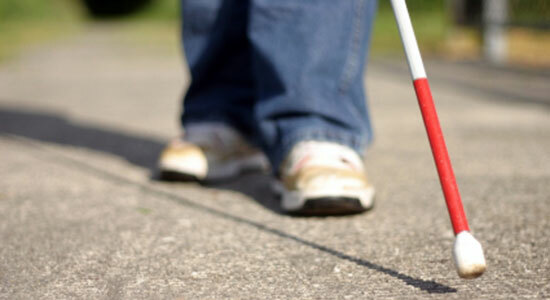 Blindness From an Accident or Medication? Were you in an accident that left you blind in one or both eyes? Did you take a dangerous medication that caused an eye condition that caused blindness? If so, you probably feel helpless and angry. Going blind changes your life forever. But there is hope. You may have a case, and Edgar Snyder & Associates can help. Edgar Snyder & Associates has decades of experience helping those who have been injured in all types of accidents. Since 1982, we've helped over 75,000 injured people get money for accidents and help give them a secure future. At Edgar Snyder & Associates, we do everything possible to get you the money you need and deserve for your accident or dangerous drug case. Trust us to help get you compensation for your medical bills and pain and suffering. We help you figure out the paperwork and medical bills. We gather evidence and hire experts when necessary to prove your case. We fight to get you the best outcome possible. We take away your worries, so you can focus on your health. Not sure if you want to hire a lawyer? Remember, there's never a fee unless we get money for you. It's just one more way we take care of our clients. If we don't get you compensation for your blindness, you won't owe us a penny – it's that simple.